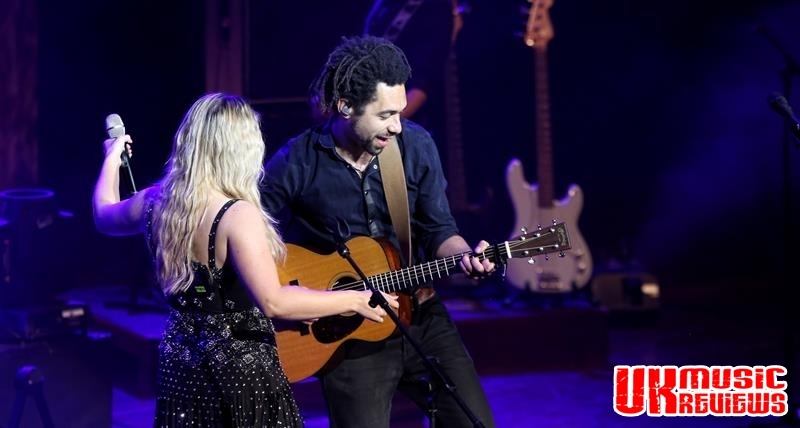 The Shires performing their My Universe Tour at The Royal Concert Hall Nottingham on Sunday 30th April 2017. 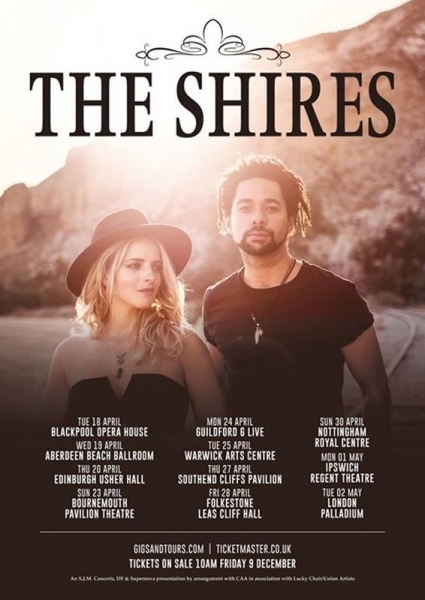 Country music seems to be making a bit of a comeback, thanks in part to the TV show Nashville, but thanks in the main to country duo, The Shires. 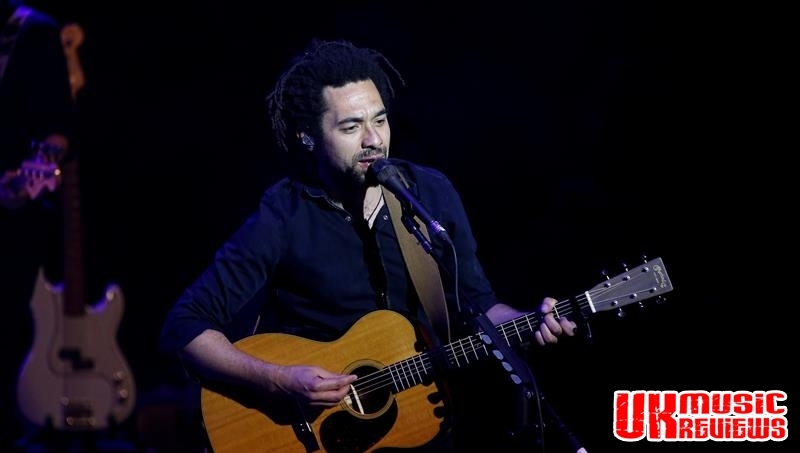 Since Ben Earle and Crissie Rhodes first formed the group via a social media site back in 2013, they have gone from success story to success story. 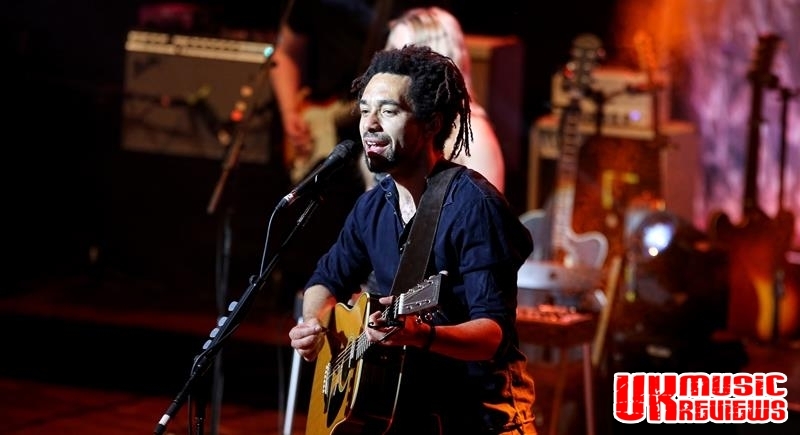 Since their debut album Brave made them the first British country act to get into the top ten of the UK album chart, Earle became a father the same day as they headlined Glastonbury on the Acoustic Stage and they have toured with Sir Tom Jones and The Corrs. 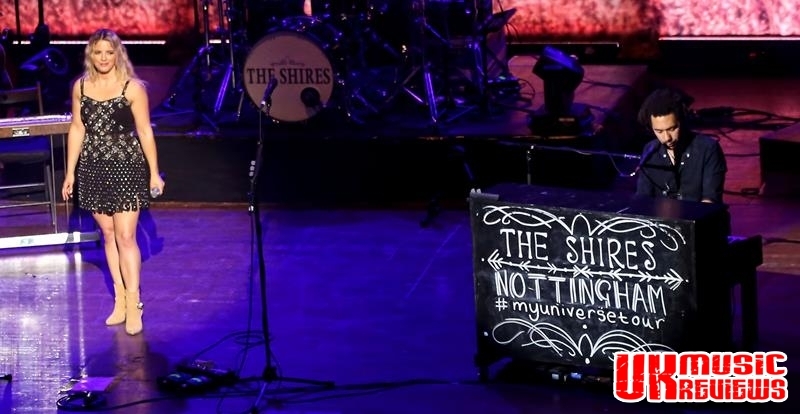 From Nashville’s Bluebird Cafe to Nottingham’s Royal Concert Hall, the duo were welcomed onto the stage last night by a sold out crowd who shrieked and screamed before the first chord was even played. Touring to promote their second album, My Universe, it was their debut single Nashville Grey Skies that got them off the mark with the audience on their feet, singing along to their every word. With a very tight four piece backing band they rattled through some of the most popular songs from their new album; Not Even Drunk Right Now, My Universe, Drive and Naked, before slowing things down with a beautiful version of Robbie Williams’ Angels, the heart breaking Daddy’s Little Girl and the gorgeous Brave with just Earle on the piano. As they played the infectiously catchy Beats To Your Rhythm, All Over Again and State Lines, they did become less country and more commercial pop, which delighted this now standing crowd. The up tempo Friday Night and Jekyll And Hyde ramped up the excitement levels as the set drew to an end with Tonight, complete with audience participation. Beginning the encore with the beautiful Other People’s Things, they ended it with the soulful and country gospel, A Thousand Hallelujahs. 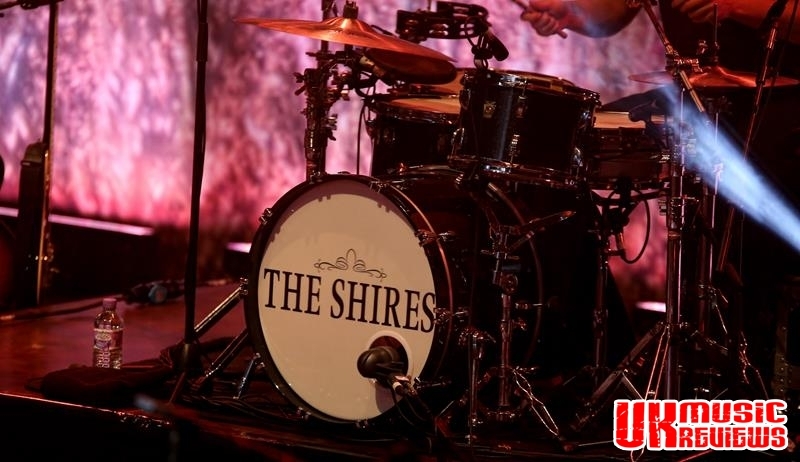 With Rhodes’ stunning vocals, their memorising harmonies and charming personalities, they had produced a show that was electric, energising and exciting, leaving this audience to line dance all the way home.